MAXON CINEMA 4D R19 Studio: A Tutorial Approach textbook aims at harnessing the power of MAXON CINEMA 4D R19 Studio for modelers, animators, and motion graphic designers. 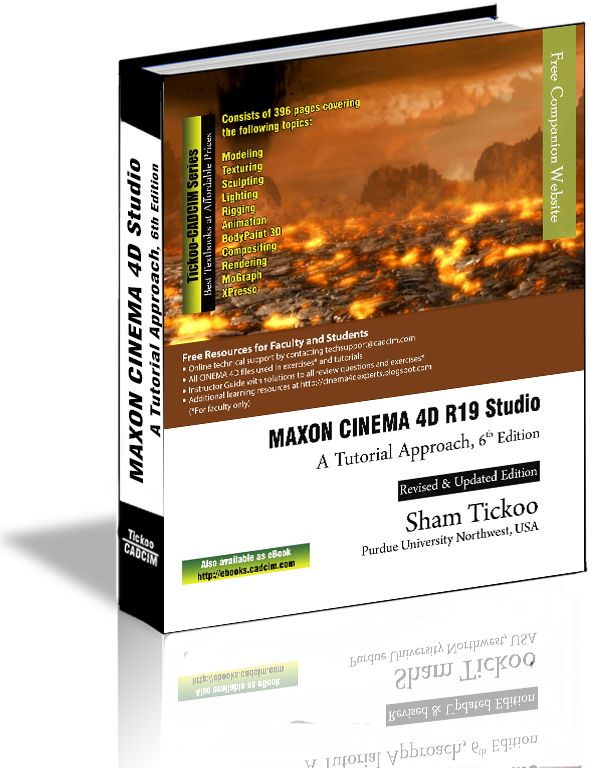 The CINEMA 4D R19 textbook caters to the needs of both the novice and the advance users of CINEMA 4D R19. 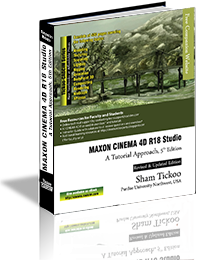 Keeping in view the varied requirements of users, the CINEMA 4D book first introduces the basic features and then progresses to cover the advanced techniques such as MoGraph, XPresso, and 3D Compositing. 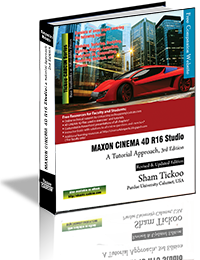 This book features two projects based on the tools and concepts covered in the book. 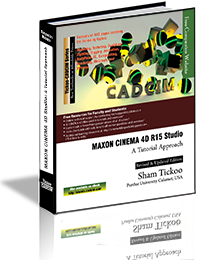 Consists of 13 chapters and 2 projects that are organized in a pedagogical sequence covering various aspects of modeling, texturing, lighting, and animation. 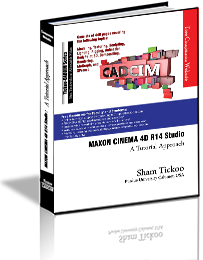 Additional learning resources available at http://cinema4dexperts.blogspot.com.